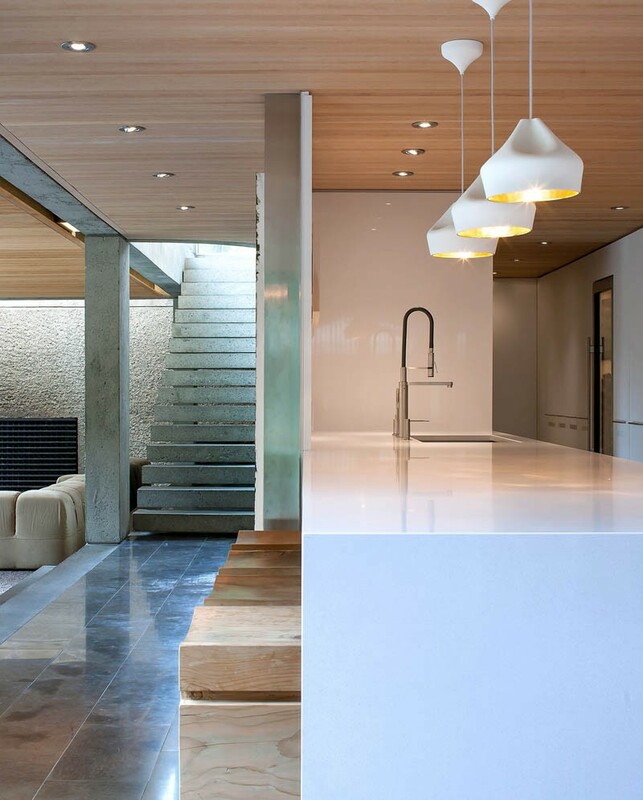 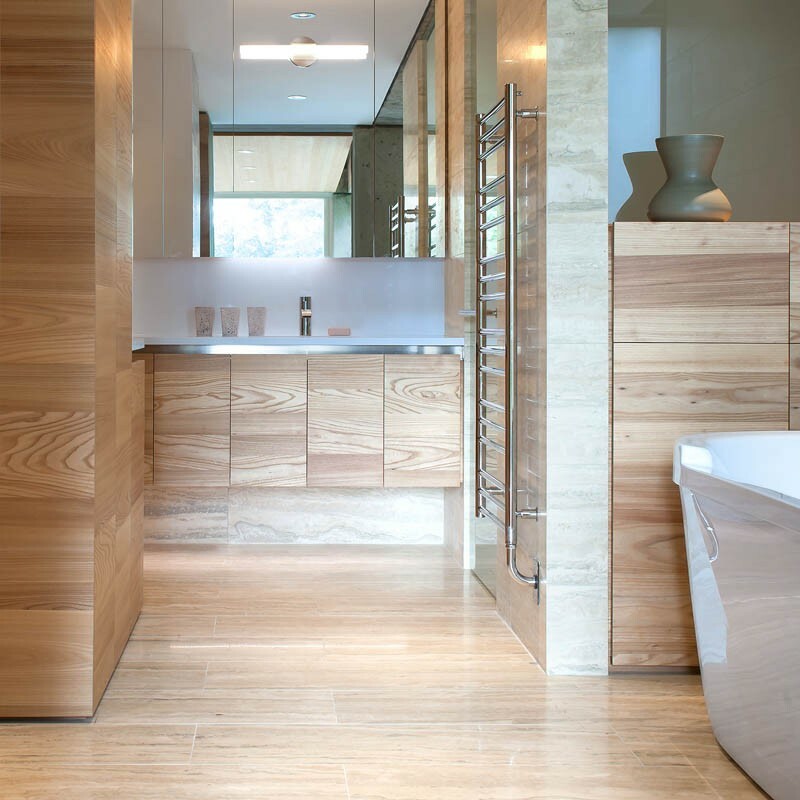 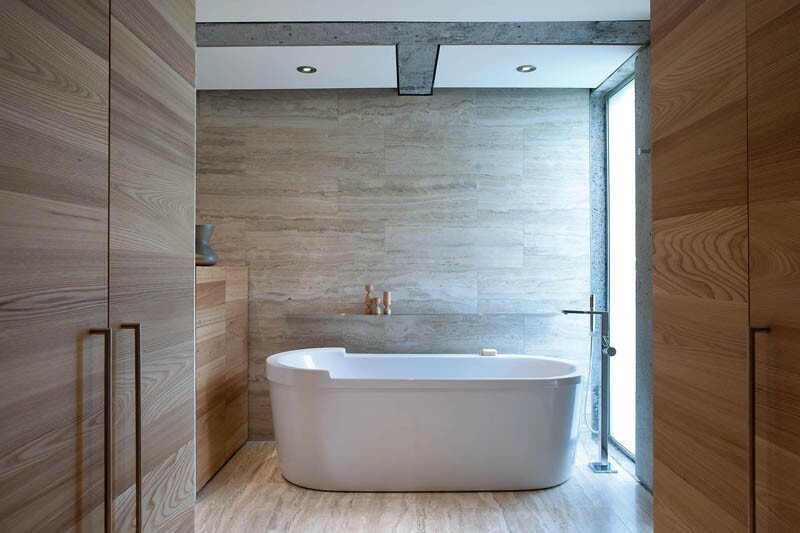 BattersbyHowat Architects have completed a contemporary update for the Eppich house in West Vancouver, Canada, that was originally designed by Canadian architect Arthur Erickson in 1972. 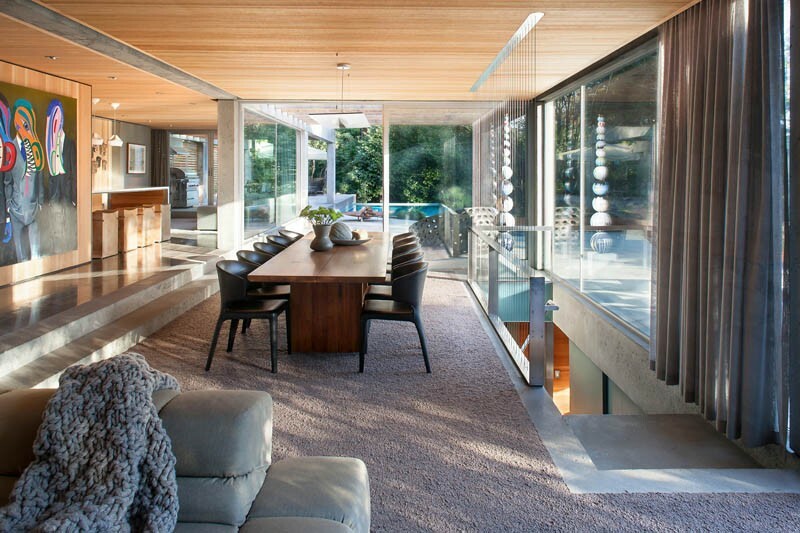 The ceilings are covered in unfinished fir, a type of wood that is very common on the west coast of Canada. 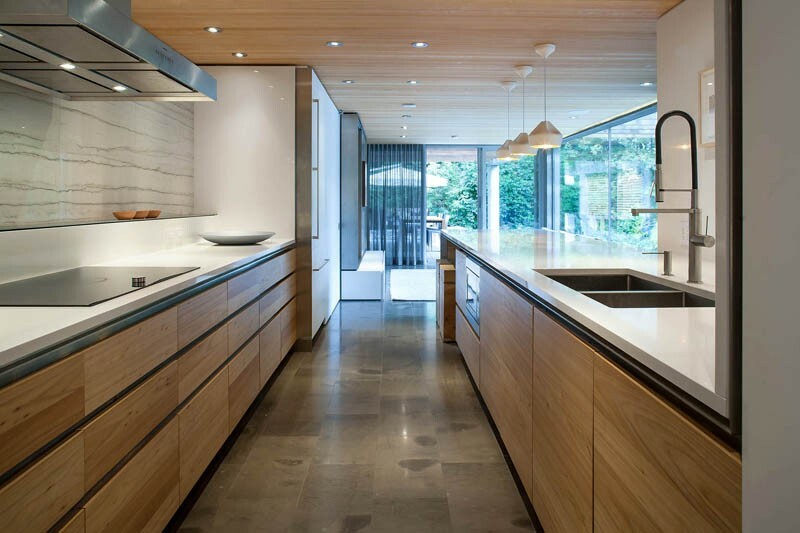 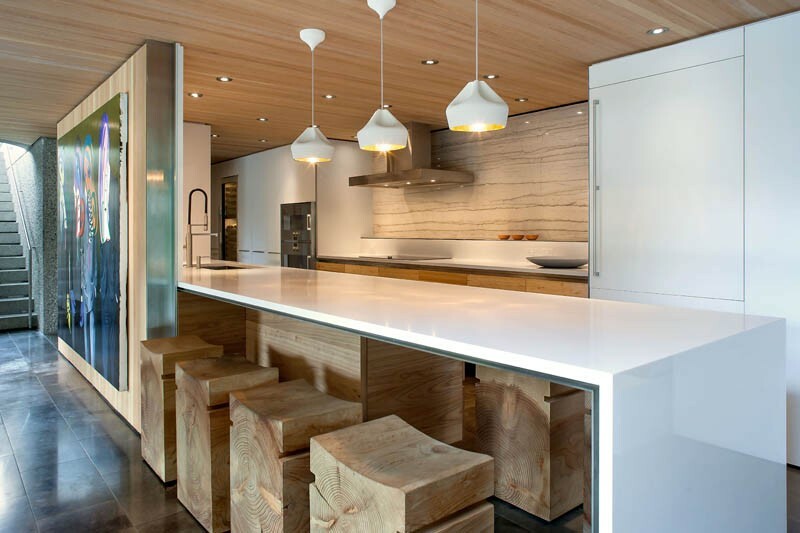 The kitchen has a combination of wood for the warmth, and white for keeping it bright. 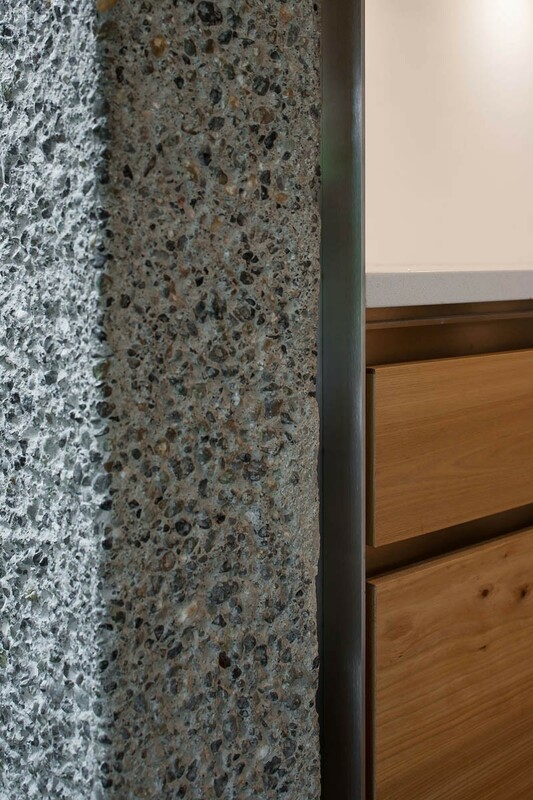 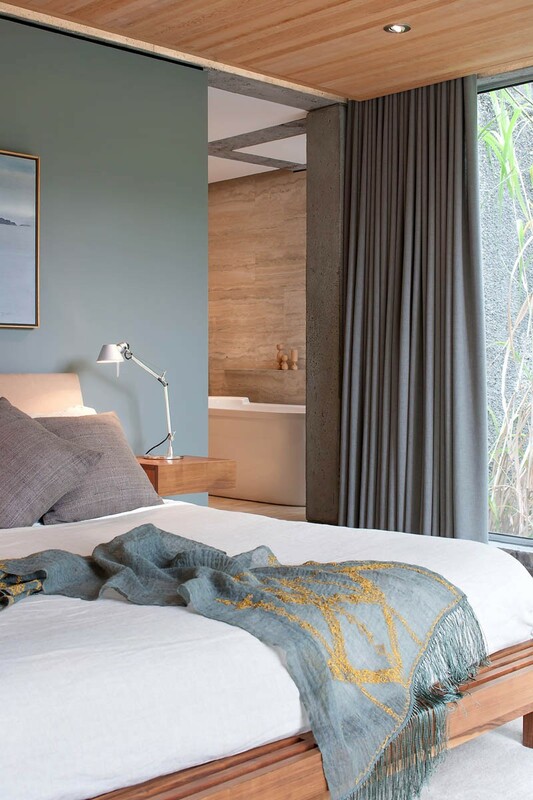 This is what bush-hammered concrete walls look like. 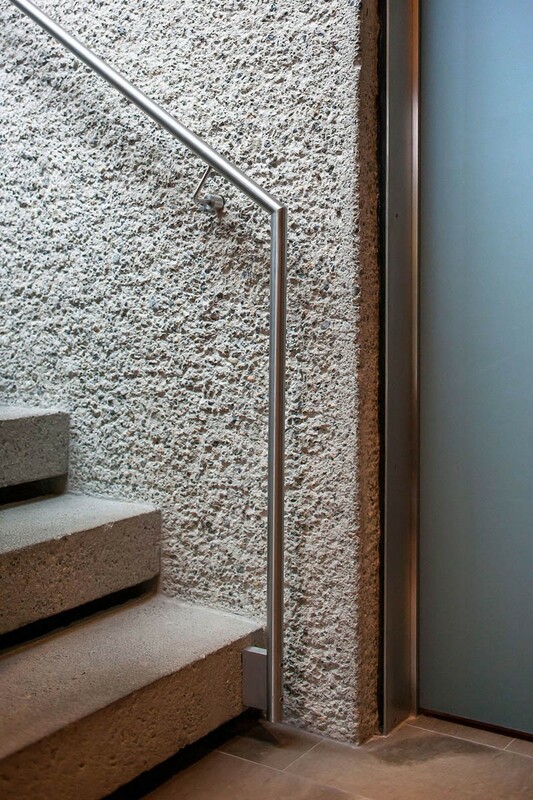 Bush hammered concrete is a great way to get a lot of texture. 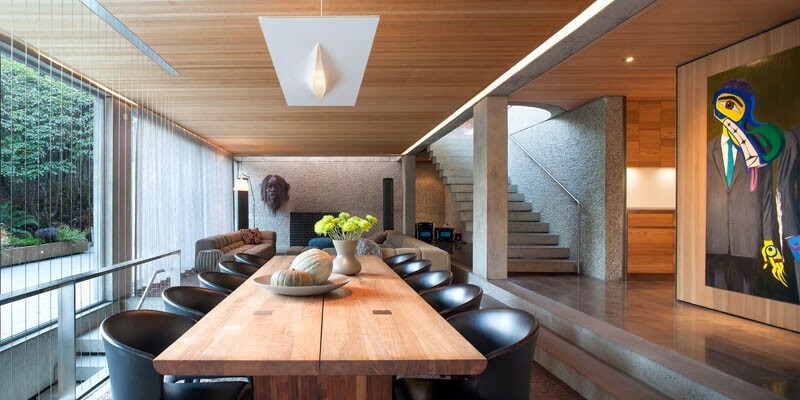 The original house is a post-and-beam aesthetic done in concrete. 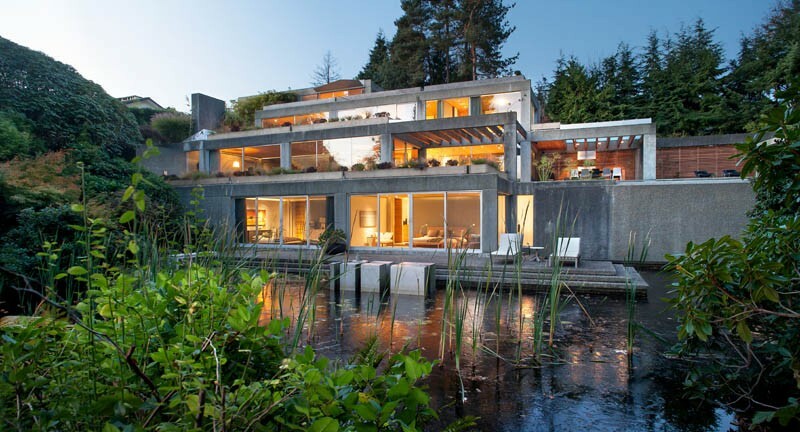 It sits on a sloping site, and terraces down four levels, ending with a beautiful pond.